MSAE exceeds its goals and earns an impressive ROI using Feathr for the first time. The Michigan Society of Association Executives is a not-for-profit membership organization that serves Michigan association professionals in a variety of managerial and staff specialist roles. MSAE's mission is to ensure a knowledgeable, professional and successful association community. To accomplish its mission, MSAE provides resources, education, networking and advocacy on behalf of its members. 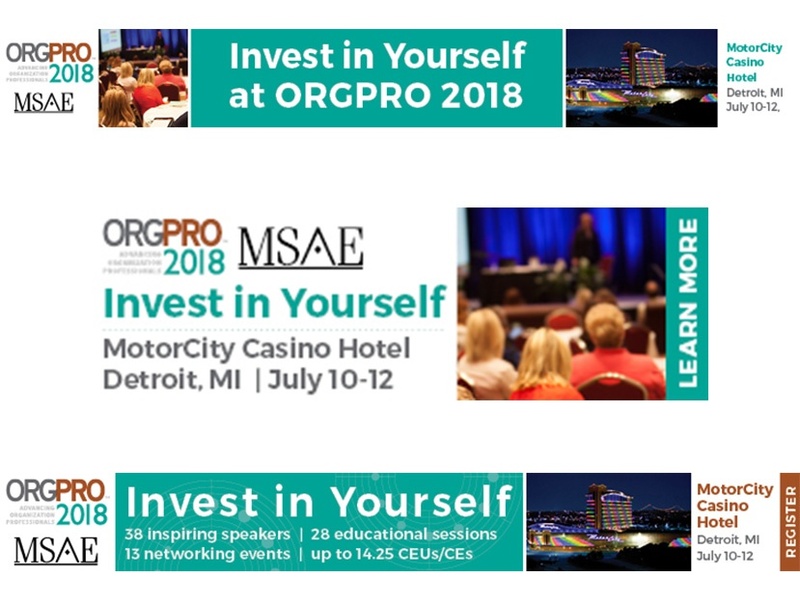 MSAE's biggest annual conference is ORGPRO, Michigan’s premier education and networking convention for professionals in the not-for-profit industry. Hosts 1 annual conference as well as over 50 seminars, summits, discussions groups, prep courses and meetings. Has a small staff of only 8. Is headquartered in East Lansing, MI. As a small state association that provides extensive networking and educational opportunities for members, MSAE’s goal for ORGPRO 2018 was to build general awareness of its services and increase registrations in an efficient, cost effective manner. Most importantly, the staff needed its outreach to not burden the already full plate of MSAE’s limited staff or clutter the inboxes of members. 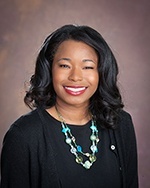 Like all small association marketers, MSAE's Strategic Marketing and Communications Manager Shawnna Henderson had a demanding task and limited resources to accomplish it. Even though Feathr is known for powering the growth of some of the largest events in the world, as well as some of the biggest and most well-funded national associations, Shawnna reached out to Feathr to see if she could find a solution for ORGPRO 2018's growth. Fortunately for MSAE and other state-level organizations, Feathr's platform is scalable to any size organization and affordable for any budget. After working with Feathr's sales and Customer Success team, MSAE chose Feathr's retargeting module for its effectiveness, ease of implementation, and low cost. Want to find out what your event could earn using Feathr as your digital marketing platform? Click here for our handy ROI Calculator! With only a month before the conference, Shawnna and the MSAE team had to work fast. Feathr's best practices suggest that campaigns should start 6 months prior to the event to ensure best results. But this is the real world and things don't always work out according to best practices. However, because Feathr can be implemented and campaigns launched in the same day, one month was more than enough to meet MSAE's growth goals for ORGPRO 2018. Feathr Customer Success Manager Daniel Rosato and Shawnna came up with a simple plan: run a display campaign targeting MSAE website visitors, encouraging and reminding them to register for ORGPRO 2018. With a strong call to action and a variety of creative sizes, the impressions started growing and the conversions came rolling in. Some of the creatives from MSAE's single, month-long campaign. Shawnna's campaign exceeded its goals and earned MSAE another 31 registrations for ORGPRO 2018. While that sounds like a modest number, the ROI it represents is profound for an association the size of MSAE. That means more association professionals in Michigan learning, growing, and succeeding together. But here's where the decision to use Feathr becomes a really easy one: MSAE's return on ORGPRO 2018 was enough to pay for the cost of the Feathr platform and MSAE's advertising budget almost six times over. And that's from MSAE's first time ever using Feathr. Only a month before the conference. With a single campaign. With success like that, it's not hard to imagine the possibilities for MSAE's future. Intrigued by the possibilities for your event's future? Click here to schedule a time to talk to us about what Feathr can do for your organization and its events!